The upside to what pitdiver describes is that you appreciate it all the more when it does go to plan. I'll be sure to remember the good times, positivity and all that! If you want to dive in the sea, whether in the UK or elsewhere, you have to put up with days off. The alternative of diving in puddles is more reliable but less exciting - keeps you going through the winter, when the sea is reliably unreliable. Mako-JD and pitdiver like this. I see Typhoon and Aqualung cropping up a lot of the websites. After the Apeks buyout by Aqualung a fair few Apeks dealers are now pushing Aqualung bolstered by volume discounts. that's seen a lot. It's 4mm, quite thin and pretty soft material with sizes a bit on the small size than what the label says. sold as diving drysuits. This means that older suits like the Ranger need to be avoided at all cost. by mistake ) [Mk1 1 & 2 red/black, Mk 3 Grey/black] Base retail cost is sub £500 and are often discounted new to £350 odd. are stock and known sizes and being standard neoprene will stretch to suit the owner. for deeper stuff. Has a few extra features as well. That's great and a lot of good gen for me to consider, many thanks for all the detailed info! Hi Adam, I’m just down the road in preston so capers is my local spot too. Re suits... definitely drysuit otherwise you’ll be lucky to do more than 3-4 (busy) months at capers. I’m assuming you’re renting just now, so one option is spend 20 rentals on a drysuit and you’ll most likely pay that back in a year. Or 30. After 40 dives you’ll be able to assess the suit and make a decision if you like that style, like Uk diving or not, then you can spend more in confidence. Bcd - loads of second hand ones, and again, to start with maybe buy 20 rentals worth and decide after that. You’ve got a computer so buy new regs and you’re well away. Tanks and weights are cheap enough to rent at the dive site. Let me know if you can make a Friday at capers! Consider an OThree semidrysuit. So far I have just dived in warm locations (I am pretty cold tolerant anyway). 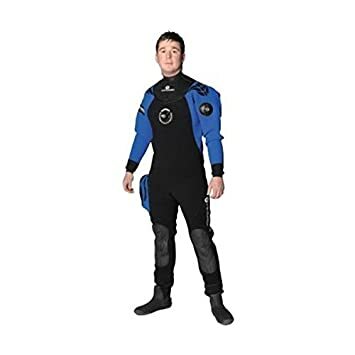 I might get a drysuit if my 7mm wetsuit proves unsuitable for UK diving but drysuits do have drawbacks so I will put off getting one as long as possible. High initial price if you can't find a good used suit that fits. Additional diver certification costs. They tend to take longer to put on, often help is needed. The zips need lubing and I have seen people struggling with the zips. The neck and cuff seals can leak. Extra lead can make walking on sand more difficult. Your face still gets cold. I have never seen a dive abandoned due to a wetsuit fault. I would imagine sorting out entanglement, such as with a fishing line would be more difficult in a drysuit. I like looking down between boulders, my feet often being above my head, getting back into a more horizontal swimming position is more difficult in a drysuit. Dave Whitlow and John F like this. The vast majority of divers in the UK will use drysuits, with the prime users of any semi-drys being clubs and schools because of cost. and switched about 10 years ago now largely when we heard of this. Semi-drys are not the right kit for UK conditions. Dave Whitlow, John F and becky9 like this. I managed to forget to pack my drysuit one weekend last year. It was Cornwall and in August and it was still too cold in a wetsuit after 40 mins on the first dive and 30 mins on the second. Won't be doing that again on a hurry. Years ago (70s, 80s, 90s) wetsuits were the norm and drysuits were apparently exceedingly rare (I wasn't there, but have read this 'factoid' in many places). Some dive schools use wetsuits for cost and the convenience of not having to teach how to dive in a drysuit to novices. Realistically drysuits are the best way to go if you're considering diving in the UK or the Med all year round. Semi-drys are just wetsuits with cuffs and collars. You've all the drawbacks of a wetsuit, but none of the benefits of a drysuit, e.g. being warm and dry. Not wishing to start an argument here but please read the original posters first few posts, then read my post again. I did not rule out a drysuit, I actually said I may get one, I just suggested consider other possibilities first. 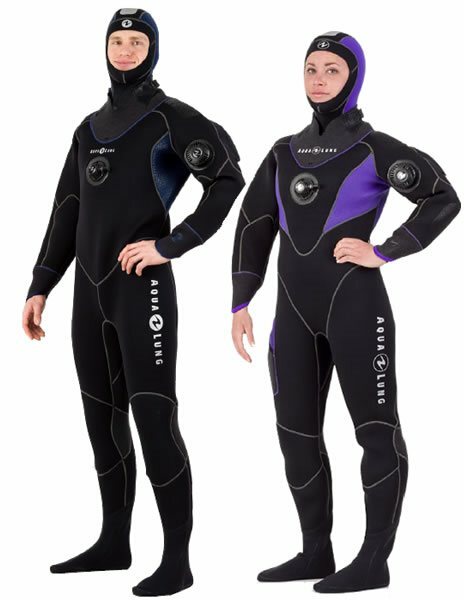 I have talked with a number of divers wearing OThree semi drys, they really liked them even in cold water. They said if it was a bit cool they just put something extra on underneath. I have also seen in my relatively short time diving people really struggling with drysuits, from struggling with zips and beeswax to unexpected leaks. Drysuit necessity? There are two clubs local to me, both dive in the same lakes. On club now dives exclusively drysuit, the other club the majority still use wetsuits. You can also train yourself to be cold tolerant. Where the temperature is at the margins of where some would consider a drysuit to be a necessity, perhaps cold water tolerance practice is a better alternative. The original poster is new to diving - is it a good idea to buy expensive kit so soon. Many divers quit not long after taking up the sport, others end up replacing all or most of their initial kit as they gain experience. My post was just an opinion, as most posts are. Although I am inexperienced as a participant in recreational scuba diving my father was a commercial diver for several years and my brother progressed to a very senior role in the military being an expert in marine warfare and submarine rescue. You are right, Pitdiver, cold tolerance can be developed. I did my dinghy racing many years ago before dry suits were used in sailing. I sailed in a 3mm suit without arms throughout the year adding more layers underneath through winter - ropes freezing in the blocks was a common problem on the coldest days. The difference was that in little wind you stayed dry and in stronger winds the exercise kept you warm. Diving is more tricky as the only exercise is out of the water. Dave Whitlow, Cybes, Mako-JD and 1 other person like this. Wet suits are best suited to places where a dry suit does not fit or would get shredded and to shallow warm water dives. I’d really not bother with one for an open water dive anywhere in the UK. If I can only get to a shallow and warm inland puddle then I’d want to be in my drysuit to keep my skills sharp. Much of, if not all, the criticisms aimed at drysuits disappear with a little experience, whereas the issues with wetsuits remain. An earlier poster highlighted the death of a girl due to an ill fitting semi dry. Exactly the same thing could happen in an ill fitting wet suit or ill fitting dry suit, but it would be less likely to happen in a wet suit because the girl would probably have felt the cold sooner and got out of the water. The reason people wear dry suits is warmth, just about everything else about a dry suit is a negative. Perhaps (driven by the need for lower vehicle emissions) batteries will improve to the point where an electrically heated wet suit becomes feasible, the batteries being worn in lieu of a weight belt. Though not an option for recreational diving, water heated wet suits are preferred over dry suits by quite a number of commercial divers. With reference to post #34, I do not waste my time getting into an argument with such posters. For the benefit of other forum members I will explain further regarding my families experience. Quite a number of fishermen, submariners and water sports enthusiasts including divers owe their lives to the work of my brother and his colleagues. Kayakers and sailors of small boats were (and possibly still are) the worst offenders. Improvements in clothing, dry suits in particular and the assumption of easy rescue calls led more people to take more risks. Even though the rescuers rarely had to take much risk the cost to taxpayers was considerable - anyone like to guess the cost of running a Nimrod and a Sea King for a few hours? The dry suits of my fathers time had no insulation at all, that was provided entirely by woolen clothing underneath. His work was mainly shallow for extended periods and condensation was a major problem. It built up until the suit was wet and bitterly cold inside. On holiday talked to a Dutch diver who was putting on a dry suit for a shore dive in 18 C water. He said diving in Holland in the winter he had got used to it and liked the warmth. He also added that doing a couple of boat dives in a day, particularly when they had a longish break in warm sun between dives, that condensation and resultant cold could be a problem on the second dive. Condensation is not a problem with either of my drysuits (one hefty new, one membrane), not with anyone else that I’ve dived with or discussed suits with. Your example of the Dutch diver is a very rare one and the one involving your father is no longer relevant. I can happily do a day’s diving and my undersuit will still be dry enough to use the next day, and the next and the next. There are other advantages to using a drysuit if which you are unaware. They provide a back-up source of buoyancy and mean you leave the water dry (aside from your head) - I’d not fancy getting back onto a boat and having to sit in a soaking wetsuit for my surface interval or having to change and dry off, particularly in cold conditions. For any dive involving a little decompression a wet suit is just wrong - I want the warmth of a dry suit and the safety net of that back-up buoyancy if I’m going to be having to hold a number of stops or risk getting bent. TBH I’d be tempted to suggest there’s a bit of trolling going on here if I wasn’t such a charitable soul. Drysuit heaters work quite well -- was using mine yesterday in the 8 degree sea. Alas my buddy's heater failed half way though our dive so I watched him shiver for twenty-odd minutes at our 6 metre stop. Back last century wetsuits were common for UK diving Nowadays you won't find one on a dive boat except in the summer season or some poor sod borrowing a school's kit. I wear my drysuit in all waters including summer Mediterranean diving. Wouldn't even think of using a wetsuit unless the water's bath-like. I dived a 7mm semi during my last 2 lots of training at stoney last June and Sept. After sitting on the shelf shaking uncontrollably waiting for others to do their nav skills, I decided Dry suit would be my next step. An earlier poster highlighted the death of a girl due to an ill fitting semi dry. Exactly the same thing could happen in an ill fitting wet suit or ill fitting dry suit, but it would be less likely to happen in a wet suit because the girl would probably have felt the cold sooner and got out of the water.. I'm not sure you fully comprehend how both wet and drysuits work. The wetsuit (or to a lesser degree the semi-dry) works by allowing 'some' water in to create a layer between skin and suit. around) with the result the efficiency of the suit gets compromised and that 14mm turns into 12mm etc,. and acts as insulation. These layers are usually hi-tech and wick sweat and water away from the skin keeping the diver warm. To beef up the insulation for cold(er) water the diver can add additional layers (if the size of the suit allows), which trap more air. feed with a inlet valve in the chest. This allows the diver to add more air if cold or more air to counteract compression at depth. air and abort the dive if necessary. It would be better of course to have a well-fitting suit regardless of type, but need to be aware of the difference. The reason people wear dry suits is warmth, just about everything else about a dry suit is a negative. but it also provides a redundant backup of two forms of controllable bouyancy which in some cases has saved lives, hardly a negative. practices and appointed a new safety officer to oversee the whole industry. As a result many dive schools went fully drysuit.